The celebrations are designed to highlight the series of achievements and success in transforming and reforming the office, since its establishment in 2005. The celebrations will also educate the public on the roles, responsibilities and processes of the office as part of its public awareness campaign. 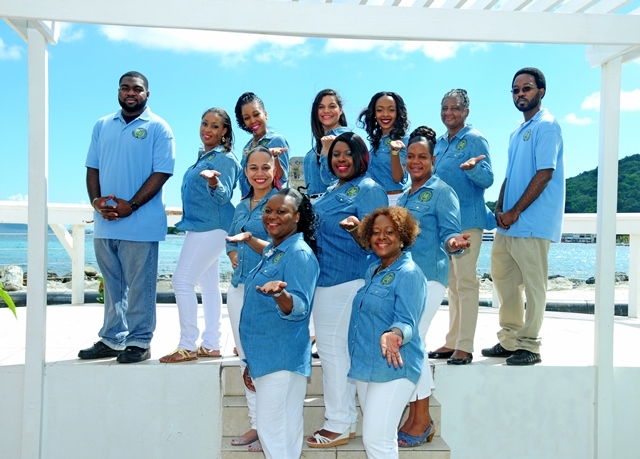 Registrar General, Mrs. Stephanie Benn is pleased with the direction and growth of the office over the years, having served in the post for the past eight years. She credited the implementation of the online database titled ‘Civil Registry Information System’ (CRIS), as the platform and catalyst of change to the department. CRIS, is an automated system developed to address the needs of a modern Civil Registry. It uses technology to provide new services to the public, while simultaneously reducing Registry workload, increasing efficiency, and improving data accuracy and audit capabilities. The flexible system facilitates multiple Government agencies and provides on-line data entry and retrieval. The Registrar-General looks forward to the next decade as they continue working with their partners, including the Immigration and Customs Departments to assist in strengthening the Territory’s National Security, by securing its borders. Activities to mark the decade-old agency will begin on November 22 with a church service, and continue on November 23 with an educational exhibition in the East Atrium of the Central Administration Complex. As one of their charities, the staff will be making a donation to the Autism Centre, on November 27. In addition, the office will be releasing a documentary and magazine. The Civil Registry and Passport Office provides several services to customers. These include passports, emergency travel documents, citizenship, belonger status, the legalization of documents, visas, the registration of churches and the registration of births, deaths and marriages. Its mandate is to create and manage the civil records in the Territory and manage all travel documents and nationality matters.